Dogs do not care what you look like. Dogs make you get some exercise. Dogs do not correct your stories. Dogs do not criticise your driving. Dogs enjoy the way you sing. What would you add to this list? I would love to hear what you think about my blog – leave me a comment on the blog, like me on facebook follow me on bloglovin’ or twoof me @rubys_rambles on Twitter. This entry was posted in A dog's life, Inspirations and tagged dog, dogs on 10/10/2015 by rubysrambles. We get to play ruff n tumble and have plenty of fun! HuDads and treats are the most impawtant things in our lives, although not necessarily in that order. Thanks for taking us on long walks and adventures galore. You let us lick your hands, or even lick your face – despite the fact that we may have licked ourselves in every private place. To my very own Dog Father: I’m so lucky because you’re my HuDad and best friend. You really are top dog Dad! 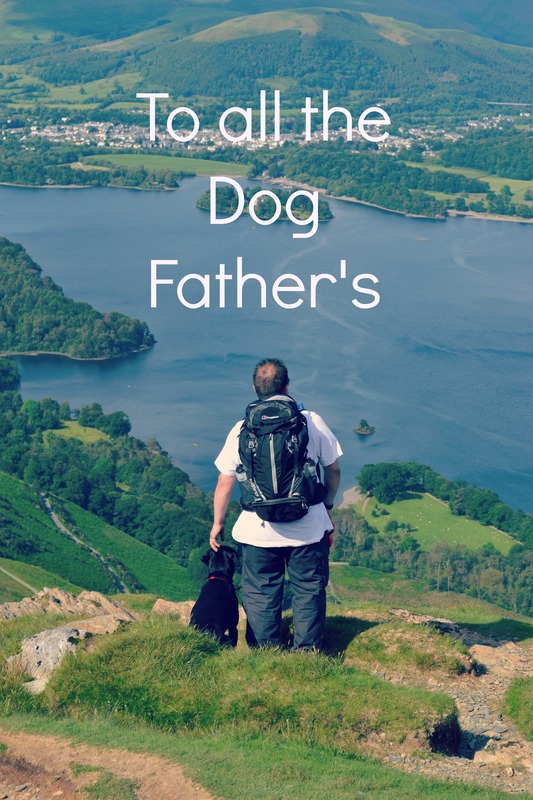 This entry was posted in A dog's life, Inspirations and tagged dog, Dog walk, Happy Father's Day, walk on 20/06/2015 by rubysrambles. 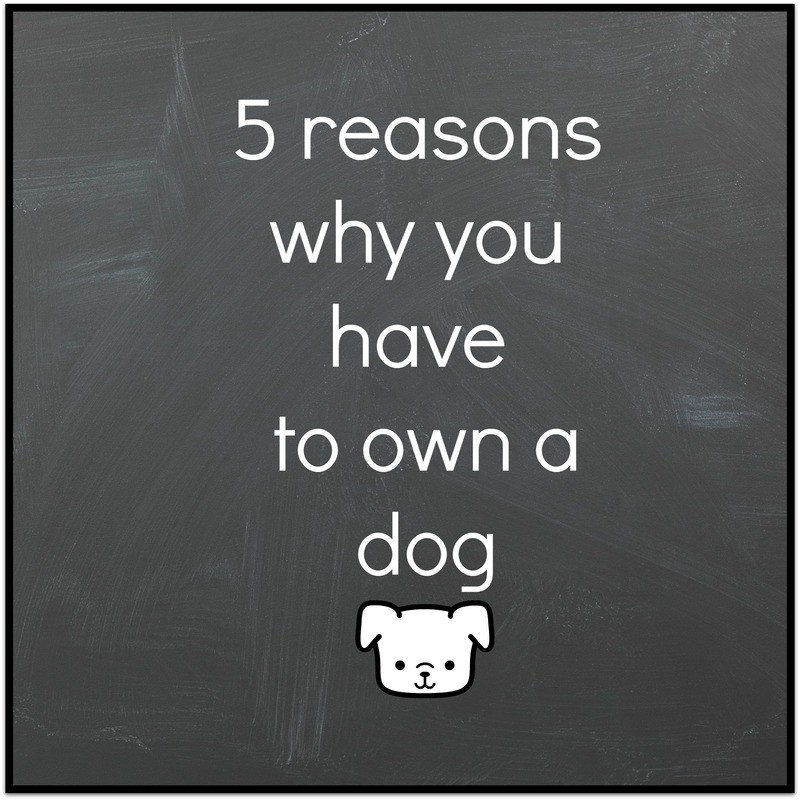 This entry was posted in A dog's life and tagged dog on 26/05/2015 by rubysrambles. That’s right I am going to be a big sister! 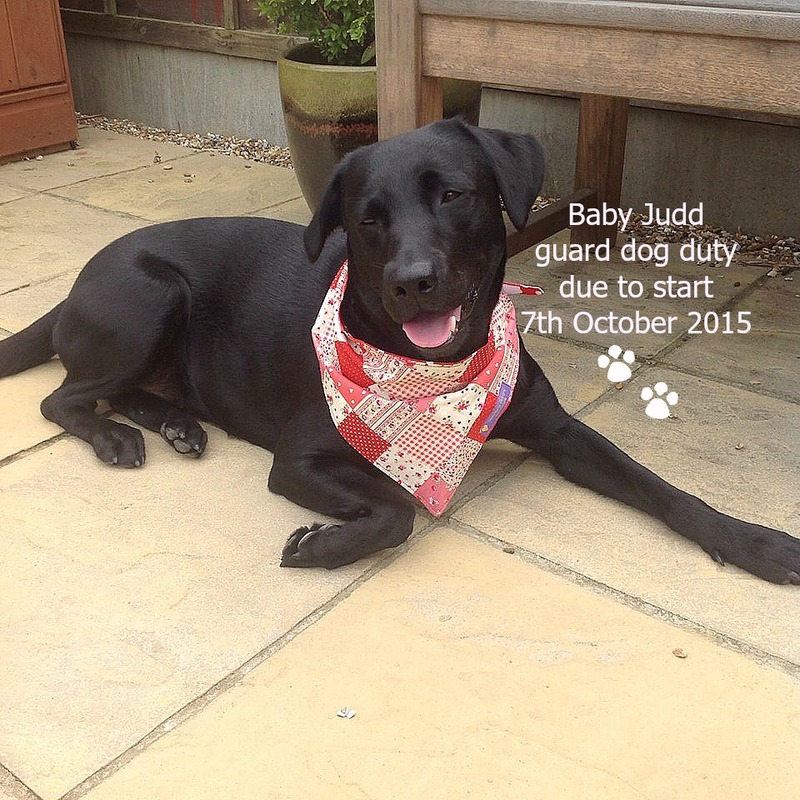 I am getting a pet human – Baby Judd is due on the 7th October 2015 and we are all very excited by our baby news! I am looking forward to my new impawtant role, it also means there will be someone else to blame the bad smell on! HuMum is currently 14 weeks pregnant – she has gone off quite a bit of food, but she loves the cake and thinks she will probably look like a hippo towards the end! This entry was posted in A dog's life and tagged baby, dog, pet human on 08/04/2015 by rubysrambles. Last month I spent the week in Snowdonia with my humans and we decided to walk a section of the Miner’s Track up Snowdon. Ensuring the humans were wrapped up warm, off we ventured to explore the Miner’s Track and take in the breath taking views of the snowy landscape ahead of us. From the Pen y Pass car park, we passed through a gate and followed the gentle upward sloped path. It was not long before we had mountains surrounding us. 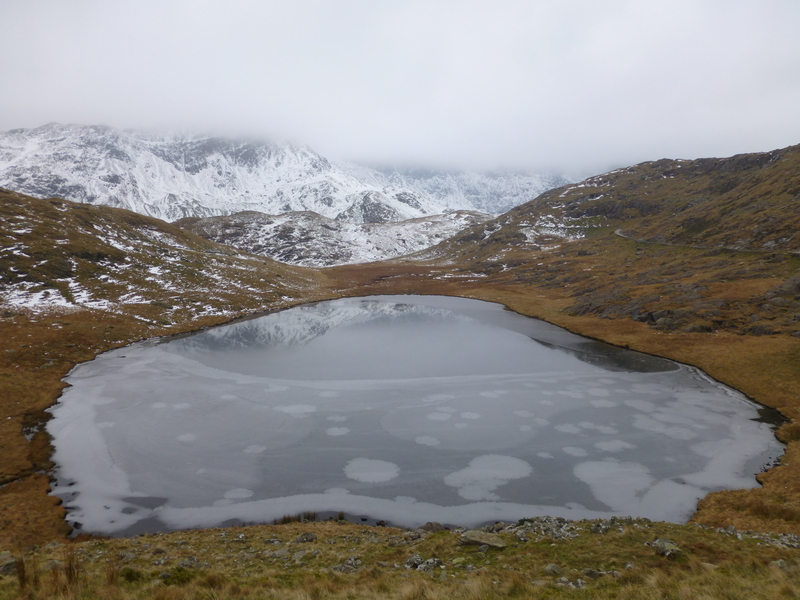 The first lake we passed was Llyn Teyrn – the frozen lake looked stunning set within the snowy peaks of the mountains. 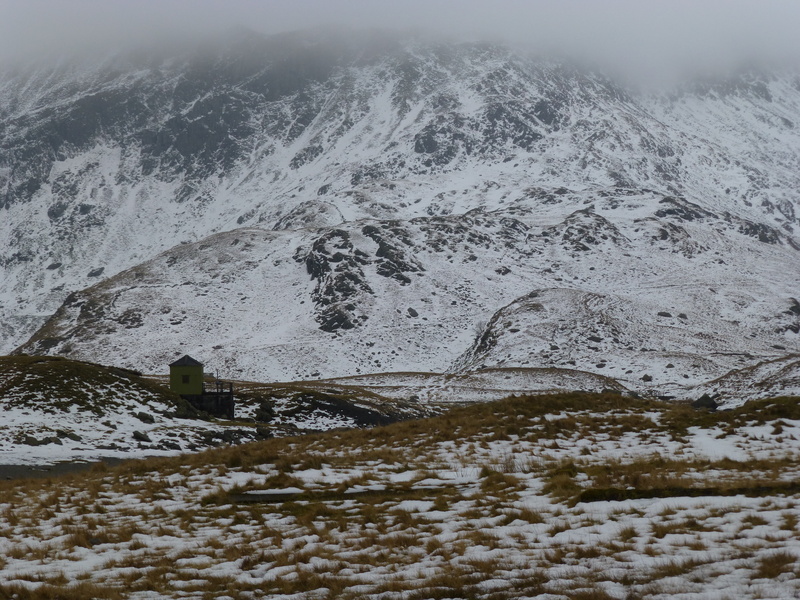 The second lake we came to was Llyn Llydaw and the panoramic view of the snowy mountains was awe-inspiring. 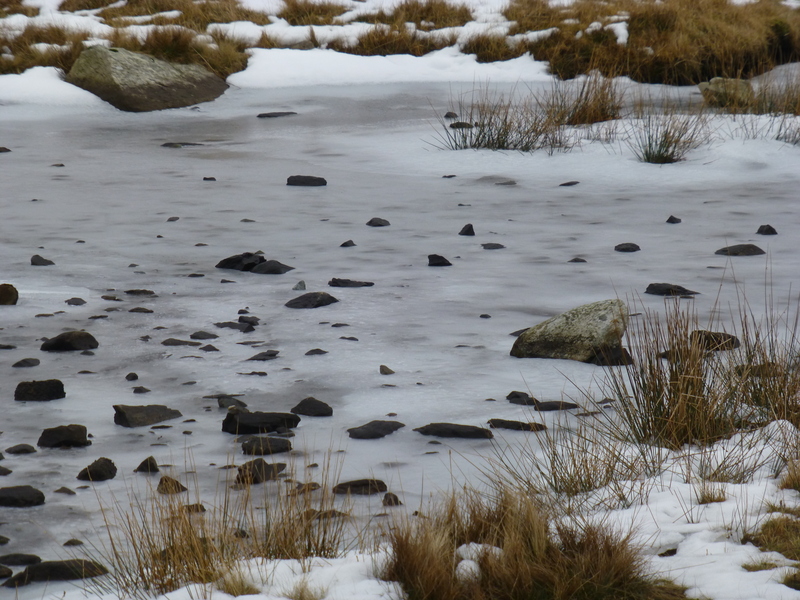 Ice was beginning to cover the path, so the humans thought it wise not to walk on any further – especially as I do not have a doggy ice axe or crampons! So we retraced our steps and headed back to the car. 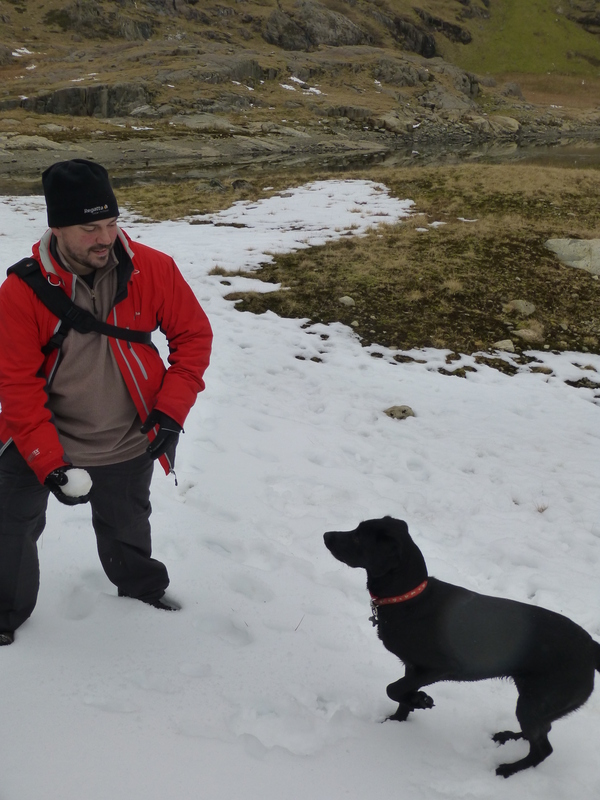 BUT before we did, HuDad and I frolicked in the snow! 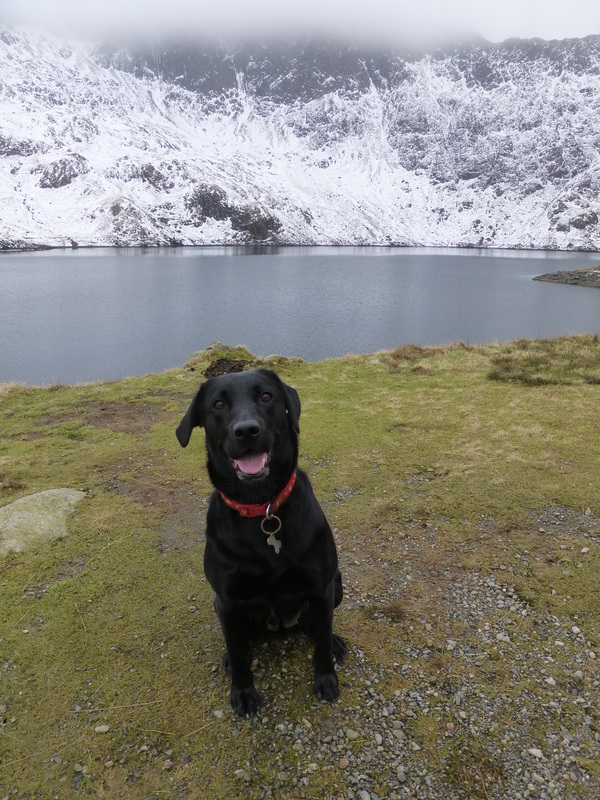 This entry was posted in Snowdonia and tagged dog, Llyn Llydaw, Llyn Teyrn, Snowdon, Snowdonia, snowy mountains on 08/03/2015 by rubysrambles. 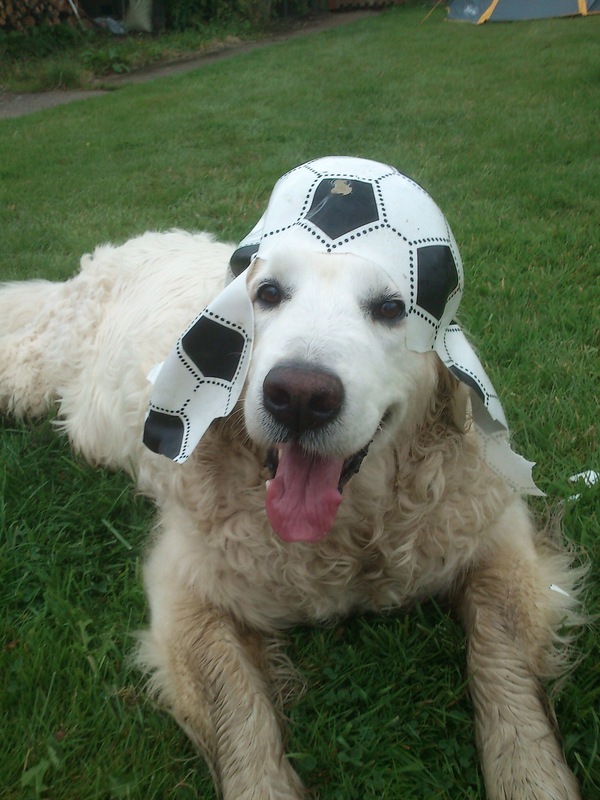 This months special guest is a dog called… Merryck. Merryck lives with his humans at Spillers Farm in a little village called Musbury, near Axminster in East Devon. Spillers Farm B&B is a working small holding, also containing a holiday cottage and a small intimate caravan area with electric hook up – Merryck is Spillers Farms very own meeter and greeter! Location: Spillers Farm, Musbury, Devon, EX13 8AJ – pawsome dog paradise! Do have any special skills or responsibilities? Have you ever done anything heroic and what was it? Where is your favourite place to ramble? What do you do that always gets your humans laughing? Today I is wearing my ball! Thanks for talking to me Merryck! It has been pawsome! I can’t wait to visit Spillers Farm one day and meet Merrycks anipals! Pictures provided courtesy of Bridget and Keith Trayling – Spillers Farm. Check out Spillers Farm website or follow @MerrckDog or @spillersfarm on Twitter to keep up to date with Merryck and his humans. 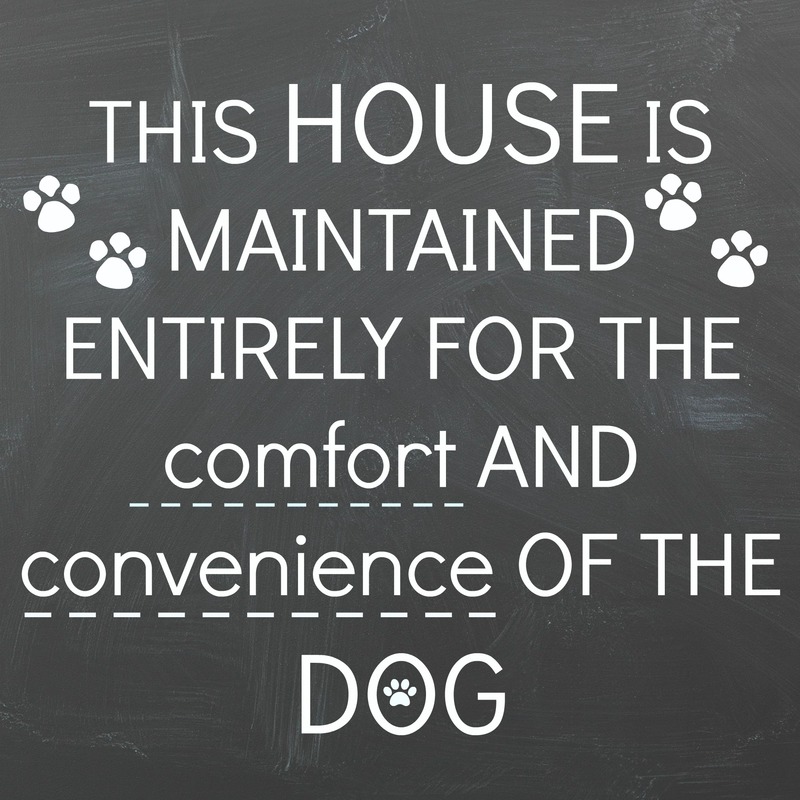 If any fellow twoofs would like to guest in a future “A dog called…” blog post, then please get in touch. I would love to hear what you think about my blog – leave me a comment on the blog, like me on facebook follow me on bloglovin’ or twoof me @rubys_rambles on Twitter. 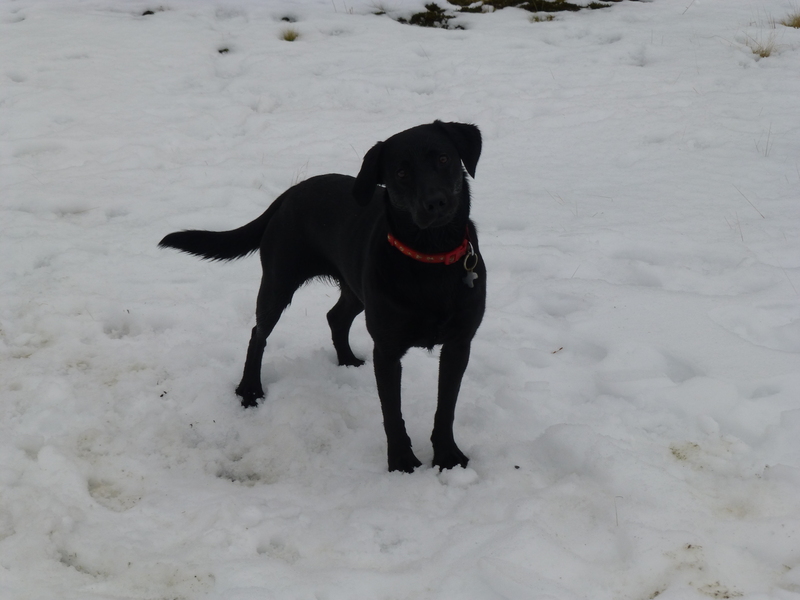 This entry was posted in A Dog Called... and tagged dog, Dog friendly, Spillers Farm on 01/03/2015 by rubysrambles. 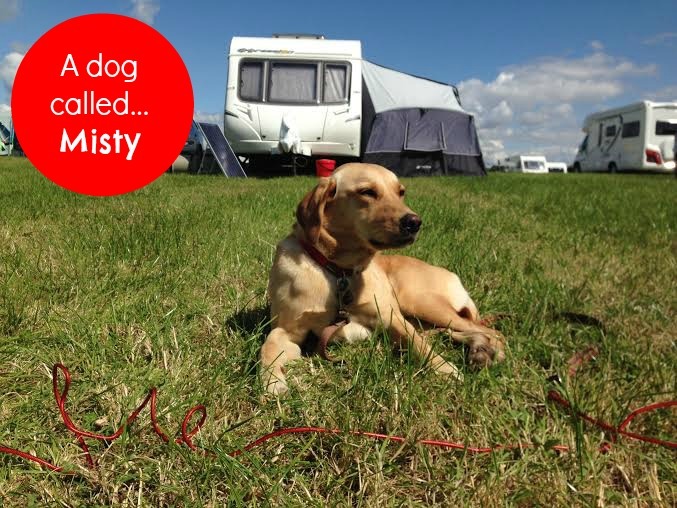 This months Ruby’s Rambles spotlight is a dog called… Misty, also known as Tin Box Dog! 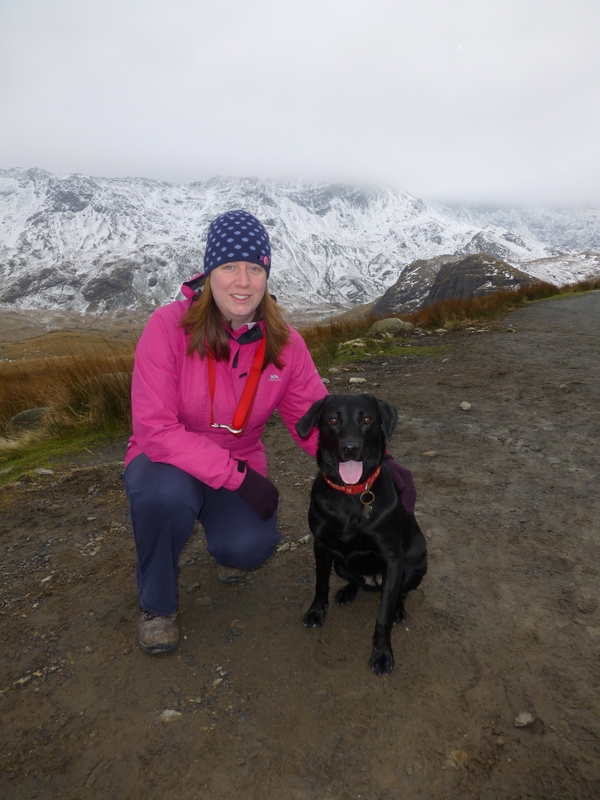 Tin Box Dogs owner Claire Hall, is the human behind the blog Tin Box Traveller – a second generation caravanner blogging about travels with a husband, dog and terror tot. Thanks for talking to me Misty! It has been pawsome! Pop over to the Tin Box Traveller blog or follow @TinBoxTraveller on Twitter to keep up to date with Misty and her Tin Box family adventures! 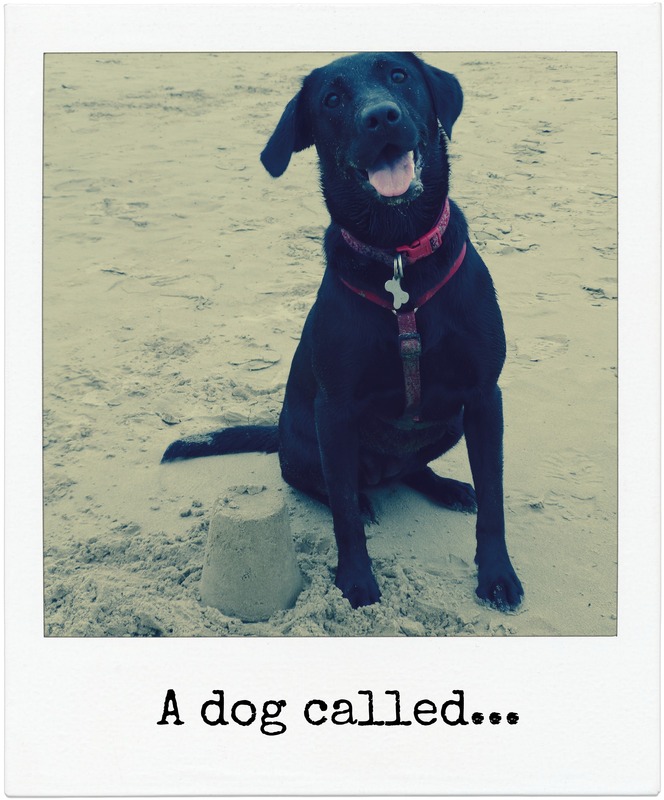 This entry was posted in A Dog Called... and tagged a dog called, dog on 01/02/2015 by rubysrambles.